Should obese people blame themselves for their weight problems? Is it really just a matter of having the self control of eating less and exercising more? If you look at a picture of a crowded place from, let’s say, the early 70’s, you’ll find that there are almost no obese people what so ever. They are all skinny! So what has happened since then? In this The Guardian Opinion article, columnist George Monbiot dives deep into what made so many people overweight. Monibot has a few theories of what might have been the cause, such as: That we eat more than we used to, the decline in manual labor, lack of exercise, etc. Today, we buy half as much fresh milk per person, but five times more yogurt, three times more ice cream and – wait for it – 39 times as many dairy desserts. We buy half as many eggs as in 1976, but a third more breakfast cereals and twice the cereal snacks; half the total potatoes, but three times the crisps. While our direct purchases of sugar have sharply declined, the sugar we consume in drinks and confectionery is likely to have rocketed. The amount of sugar has obviously skyrocketed and whole foods have decreased. And alongside this, the obesity epidemic has exploded. But has this shift happened by accident? Probably not. 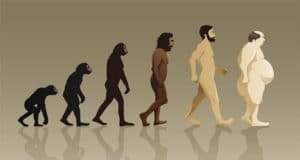 It seems to be a very conscious action by food companies who have invested heavily in various tactics to keep people hooked on certain foods, tactics such as designing products that use sugar to bypass our natural appetite control mechanisms. Despite that, 90% of policymakers are blaming obese people for not having the “personal motivation” to do something about it. So, who is really to blame here? When I saw the photograph I could scarcely believe it was the same country. 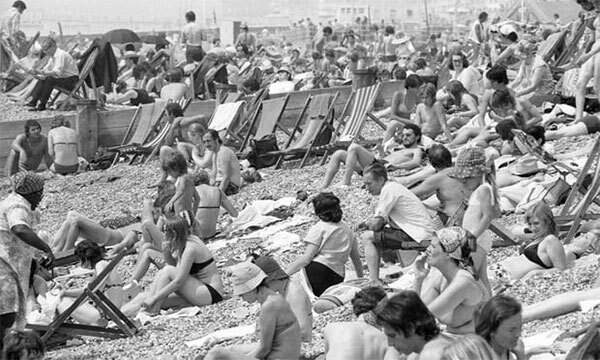 A picture of Brighton beach in 1976 (above), featured in the Guardian a few weeks ago, appeared to show an alien race. Almost everyone was slim. I mentioned it on social media, then went on holiday. When I returned, I found that people were still debating it. The heated discussion prompted me to read more. How have we grown so fat, so fast? To my astonishment, almost every explanation proposed in the thread turned out to be untrue. 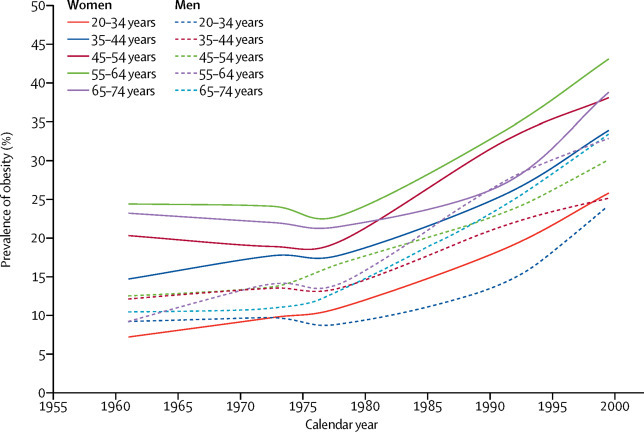 Unfortunately, there is no consistent obesity data in the United Kingdom before 1988, at which point the incidence was already rising sharply. But in the United States, the figures go back further. They show that, by chance, the inflection point was more or less 1976. Suddenly, at around the time that the photograph was taken, people started becoming fatter – and the trend has continued ever since. The obvious explanation, many on social media insisted, is that we’re eating more. Several pointed out, not without justice, that food was generally disgusting in the 1970s. It was also more expensive. There were fewer fast food outlets and the shops shut earlier, ensuring that if you missed your tea, you went hungry. So here’s the first big surprise: we ate more in 1976. According to government figures, we currently consume an average of 2,130 kilocalories a day, a figure that appears to include sweets and alcohol. But in 1976, we consumed 2,280 kcal excluding alcohol and sweets, or 2,590 kcal when they’re included. I have found no reason to disbelieve the figures…..